Sophisticated and Elegant Living. Enjoy Spectacular Water Views of Sarasota Bay from this Palm Ave. address in the desirable Sarabande. You will never tire of the panoramic views and you will find yourself regularly basking in the beauty of the constantly changing skies and gorgeous sunsets. Wake up every morning to this view from the Master Bedroom. Fully RENOVATED in 2015 with decorator touches make this Move-in Ready. Large Balcony offers plenty of space for relaxing and dining. Both closets in the Master Bedroom offer built-in storage systems. The separate Office features plenty of closet space, as well. Your overnight guests will enjoy downtown city views from their room. Unique Stained Glass features commissioned from local artist; SUB-ZERO refrigerator (2017); New A/C (2016). TWO (2) deeded Parking Spaces next to each other close to the elevator. Sarabande has the offerings one would expect in a luxury residence 8230; 24-Hour concierge, Fitness Center, Spa, (2) Pools, Sauna, Library, Meeting Room, Clubroom with Catering Kitchen, Wine Storage, (2) Guest Suites. Plus, separate, secure storage and a place for your bicycles in the garage. Perfect for boaters, too, with a fully-functioning Marina across the street. Ideally located downtown and an easy and pleasant stroll along Gallery Row/Palm Ave. to many excellent Cultural activities, Dining and Retail options. 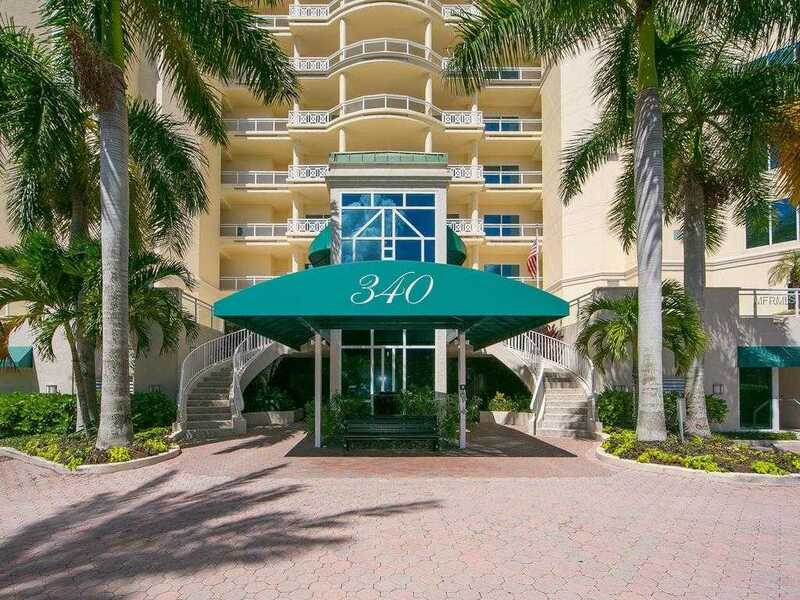 Please, send me more information on this property: MLS# A4432744 – $1,275,000 – 340 S Palm Ave #74, Sarasota, FL 34236. I would like to schedule a showing appointment for this property: MLS# A4432744 – $1,275,000 – 340 S Palm Ave #74, Sarasota, FL 34236.